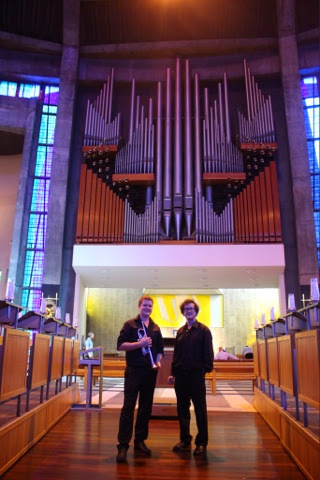 The Manx Trumpet and Organ duo 'Chronicles' performed in Liverpool Metropolitan Cathedral on 25th of July 2014. Liverpool University hosted the event, as part of their "Festival of Ideas", which included several other events around Liverpool. Other Manx musicians, including Ruth Keggin, Mec Lir and Nish as Rish, were also involved in the festival, giving performances in a large marquee in Abercromby Square - in the heart of the campus of Liverpool University. 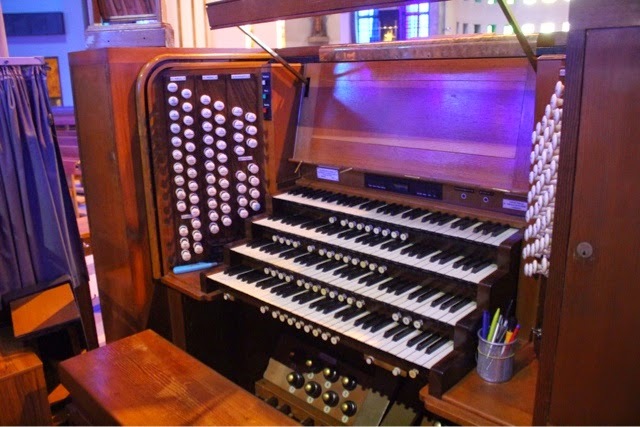 Chronicles, relying on the somewhat importable church organ, gave their performance just down the road in the Metropolitan Cathedral. They performed traditional music from the Isle of Man, Sweden, England, Wales, Scotland, Ireland and Brittany in their lunchtime concert. 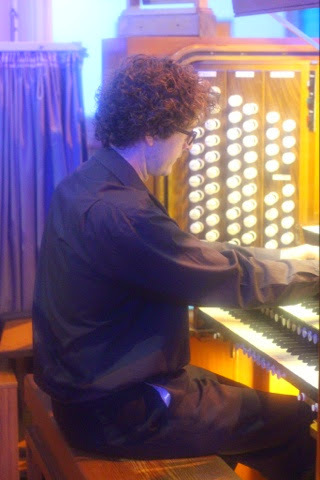 David Kilgallon played on the formidable 88-stop cathedral organ and Russell Gilmour played several different instruments, including a Selmer piccolo trumpet in G, an F. Besson Trumpet in C and a cornetto (a replica of a Renaissance instrument) which was made by John McCann in Sandy, Utah in 2009. Throughout their recital, they filled the reverberant cathedral with music that was triumphant, reflective and relaxing and both Russell and David took turns in providing an interesting commentary between pieces - explaining the links between the Isle of Man and the medieval manuscript 'the Chronicles of Mann and Sudreys' after which the duo is named. The festival was a great success for Chronicles and for all of the Manx artists involved. It was a wonderful opportunity for us to publicly show the links that Liverpool and Liverpool University have with the Island: educationally, geographically, historically and culturally. Chronicles would like to extend thanks to Liverpool University for their invitation and to the Isle of Man Arts Council and Island of Culture for their support with this project. 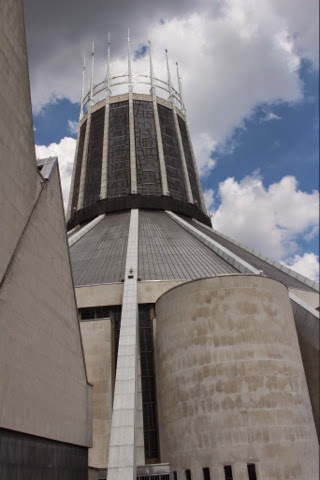 Thanks must also go to Liverpool Metropolitan Cathedral for allowing us to use the magnificent organ and to the Cathedral Organist, Richard Lea, for explaining how to program it.